As a busy stay-at-home-mom of two children I often find myself with little or no extra time. I'm busy taking care of them, helping them with their activities, and doing household chores that often times I don't have time to sit down for a hot lunch. Eating on-the-go is a common occurrence. Being able to have a quick, healthy and hot lunch would be amazing and I'm happy to say that it is possible! With the Healthy Choice Top Chef Inspired Café Steamers, I can have a steaming hot lunch, from freezer to table, in less than 5 minutes! 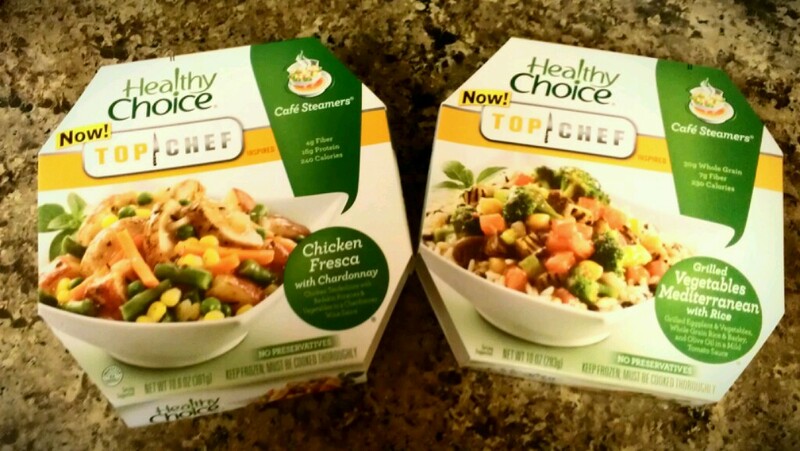 I recently had the opportunity to try to varieties of Healthy Choice Top Chef Inspired Café Steamers; Grilled Vegetables Mediterranean with Rice and Chicken Fresca with Chardonnay. Preperation and clean-up was a breeze. You cook, prepare and eat it all in the same container. When you're done - you throw the entire thing in the trash. All you need is a spoon! Making them perfect for at home or at the office. Both of them were simply delicious! The chicken was tender, the vegetables were the perfect texture - no mushy veggies here and they were bursting with flavor! Each flavor was bold and distinct, you could taste every ingredient. YUM! 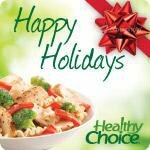 Each meal is low in calories and has a Weight Watchers PointPlus value. 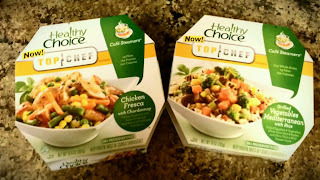 Healthy Choice Top Chef Inspired Café Steamers bring an all-star lineup of bold, modern and exciting flavors to give you exactly what you want – food that is both healthy and delicious. The line of great-tasting dishes features quality ingredients such as slow roasted garlic, asparagus and grilled eggplant. The unique steaming technology separates the sauce from the rest of the entrée to steam the meal in the microwave, allowing for crisp vegetables, tender meats and al dente pastas. The exclusive new line includes eight delicious varieties that utilize proprietary steaming technology that produces a fresh-tasting meal in minutes. The packaging features a Top Chef mark, along with a description on why each entrée is inspired by Top Chef. 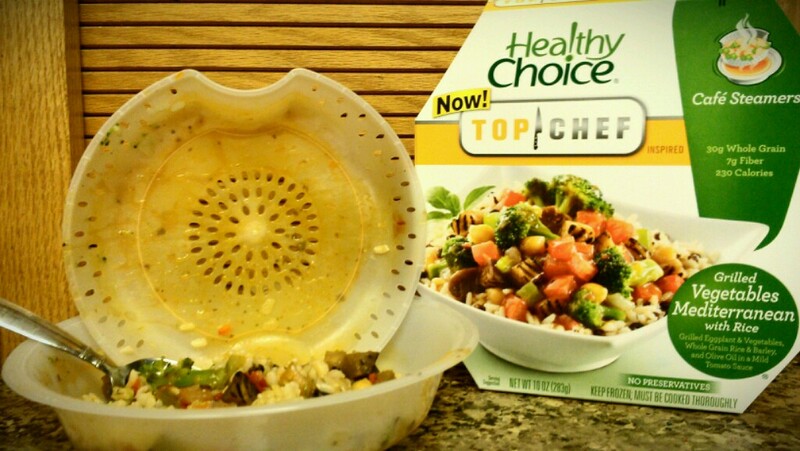 Healthy Choice Top Chef Inspired Café Steamers are starting to appear in grocery stores nationwide for a suggested retail price of $2.75 - $3.50. **I received one or more of the products mentioned above for free. Regardless, I only recommend products or services I use personally and/or believe will be a good fit for my readers. The views and opinions expressed on this blog are purely my own. Results may vary. I was compensated by Healthy Choice and TheMotherhood for this post.